All the lands of the original Letchworth State Park were, in pioneer times, part of the Cottringer (some times spelled Cottinger) Tract. 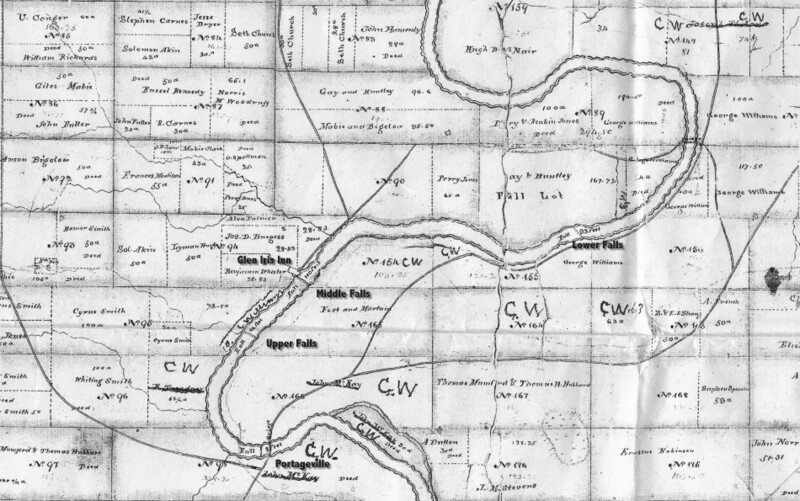 Garrett (Gerritt) Cottringer obtain the 50,000 acre tract from Robert Morris around 1800. The land was surveyed in 1807 and brought to marker in the years that followed. John Grieg acted as an agent for the tract, as did George Williams. Many of the modern deeds for the lands in this area refer back to the lot numbers found on the map. 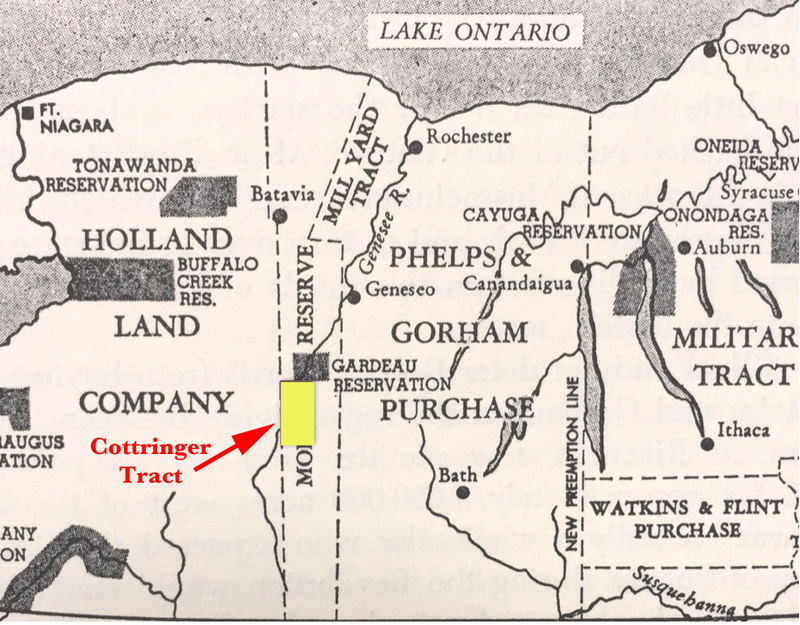 Above: The approximate location of the Cottringer Tract is shown in yellow on this map showing Western New York State during what has been called the "Heyday of the Land Speculator." Tract was part of the Morris Reserve which ran from Lake Ontario to the Pennsylvania Border. This map is adapted from A History of New York State by David M. Ellis, James A Frost, Harold C. Syrett, and Harry J Carman,Cornell University Press, 1967. Right: Copy of the Cottringer Map once owned by George Williams. 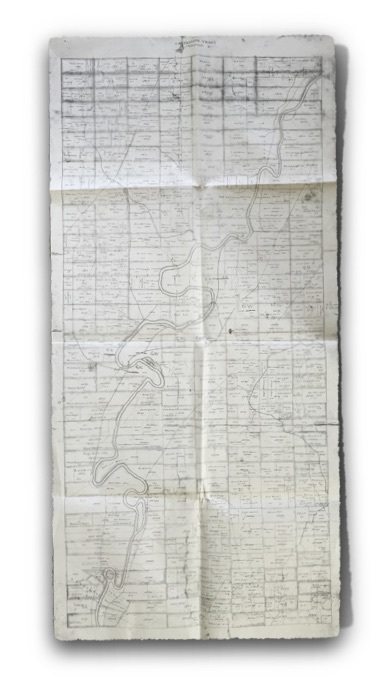 Below: Are of the Cottringer Map which included lands that became the Glen Iris Estate between 1859-1906 and then Letchworth Park in 1907. The names that have been added will help set the map in context.